Who is the ‘man of sin,’ also called the ‘son of perdition’ in 2 Thessalonians 2:3-4? Some believe that he is the King of the North of Daniel 11, as the ten-horned beast of Revelation 13:1-10. Yet others believe that he is the two-horned beast of Revelation 13:11, also known as the false prophet (Revelation 16:13; 19:20; 20:10). Are either of these positions right? What does the Bible actually teach? 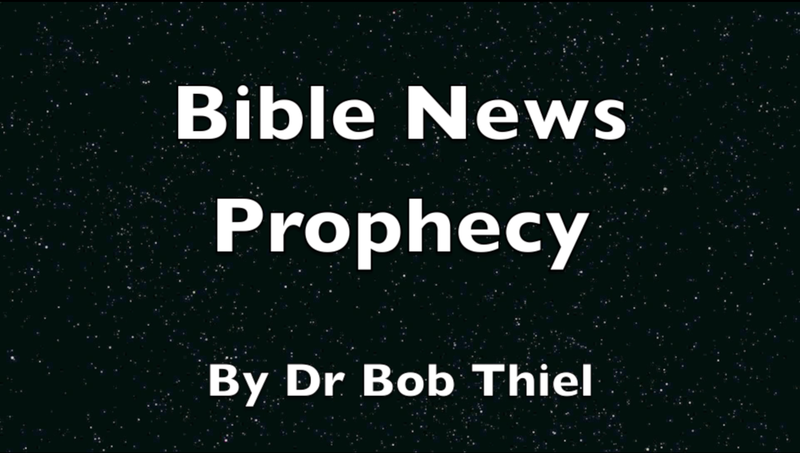 The Continuing Church of God has a video on our YouTube channel called Bible New Prophecy. It is titled Who is the ‘Man of Sin’? Who is the ‘Man of Sin’? The above suggests that if one does not agree with the conclusion that the false prophet is the “man of sin” of 2 Thessalonians 2, then one does not understand prophecy. But is the man of sin the false prophet, the second beast of Revelation 13, or not? Interestingly, in his The Falling Away sermon (recorded on June 1, 2012), Dr. Winnail taught that the Beast, the King of the North, may be the son of perdition in 2 Thessalonians 2. But that view apparently changed once Dr. Meredith clearly took another position. Dr. Meredith is basically stating that those who have prophetic understanding know the identity of the man of sin, yet his identification is not consistent with scripture. The second beast is able to perform miracles. He does this “in the sight of” the first beast—the Holy Roman Empire. These miracles are so extraordinary—so mesmerizing—that they allow him to deceive the whole earth! Finally, the beast is worshipped as a result. This future religious leader will lead the final resurrection of the Holy Roman Empire alongside a great civil leader. But, as the Bible teaches, the two-horned beast is NOT the man of sin in 2 Thessalonians 2. Mr. Tkach was an innermost disciple—more so than other Church leaders—in those last seven years of Mr. Armstrong’s life. The leadership discussed in 2 Thessalonians 2 must be in Pasadena today (Flurry G. Malachi’s Message. 1990, 1995, p. 99). Gerald Flurry was referring to the Tkach Administration of the old Worldwide Church of God. This is wrong for many reasons, including the fact that J. Tkach , Sr. died without Jesus’ return which is when the ‘man of sin’ is eliminated per 2 Thessalonians 2:8–nor have any members of the Tkach Administration been accompanied by the type of signs and lying wonders that the ‘man of sin’ would be. More on PCG can be found in the article Teachings Unique to the Philadelphia Church of God. But this, like the positions of LCG and RCG, appears mainly to be based upon tradition. I should mention that Aaron Dean, who is with UCG and on its Council of Elders agrees with my position on this that the ‘man of sin’ here is the Beast, the final King of the North, and not the false prophet as he has told me that personally. The New Testament teaches that the man of sin “exalts himself above all that is called God or that is worshiped” (2 Thessalonians 2:4). The Old Testament teaches that the King of the North “shall exalt and magnify himself above every god” (Daniel 11:36). The New Testament teaches that “All who dwell on the earth will worship” (Revelation 13:8) the first Beast, the ten-horned beast (Revelation 13:1). This worship is not directed towards the false prophet. And the Bible teaches that the false prophet, the second beast of Revelation 13 “causes the earth and those who dwell in it to worship the first beast” (Revelation 13:12). Read it for yourself in your own Bible. Even though people will likely worship both beasts, the descriptions in the Bible that describe the ten-horned beast/King of the North are much closer to the man of sin discussed in 2 Thessalonians 2:3-4 than any about descriptions the false prophet. Those who truly understand prophecy and who prayfully study the word of God for doctrine should realize this. Will you rely on traditions of men or what the Bible really teaches? 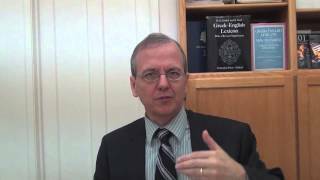 Who really understands end time prophecy? Since the Continuing Church of God is biblically correct about this will you support it? Who is the Man of Sin of 2 Thessalonians 2? Is this the King of the North, the ten-horned beast of Revelation 13:1-11, or the two-horned Beast of Revelation 13:12-16? Some rely on traditions, but what does the Bible teach? Here is a link to a related YouTube video titled Who is the Man of Sin? How To Determine If Someone is a True Prophet of God There are many false prophets. How can Christians determine who is a true prophet? There is also a sermon-length video titled How to determine if someone is a true prophet of God. This entry was posted on Thursday, April 24th, 2014 at 12:01 am	and is filed under COG News, Doctrine, Prophecy. CCOG, RCG, UCG, LCG, and PCG on the ‘Man of Sin,’ which is biblically correct?